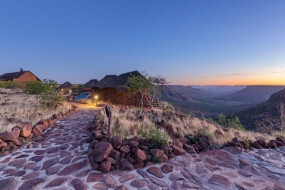 Upon stepping into Grootberg Lodge, you are drawn into another world. 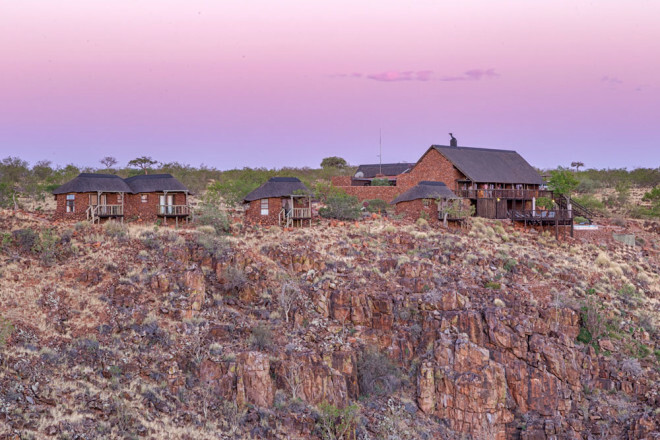 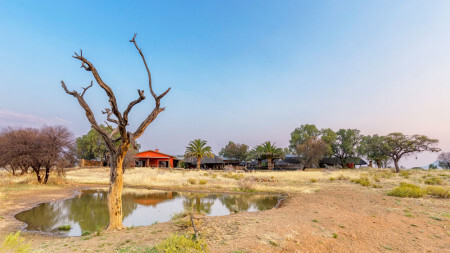 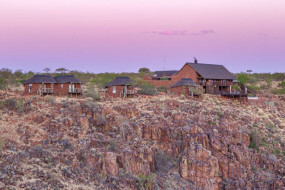 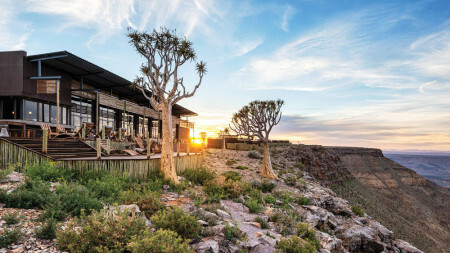 Built in 2005 in collaboration with the local #Khoadi//Hoas community, it has become a landmark in the Namibian tourism industry as the first middle-market lodge in Namibia that is 100% owned by the conservancy. 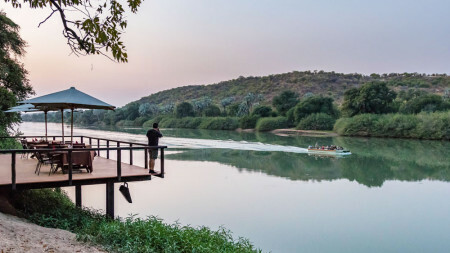 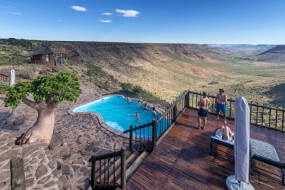 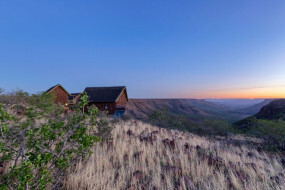 The main areas and chalets are dotted along the edge of the Etendeka Plateau, providing guests with breathtaking views over the Klip River Valley. 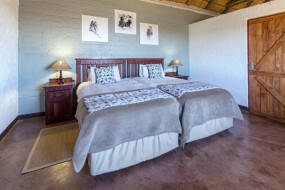 Your hosts, all members of the local community, will welcome you and attend to your every need. 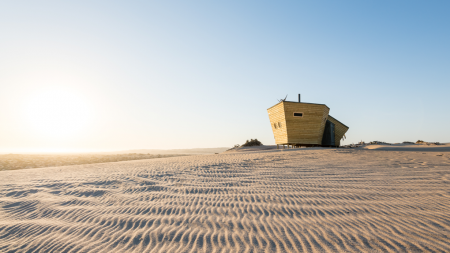 Feel at home in any of the fourteen twin or two-family chalets, built from natural materials and powered by the sun. 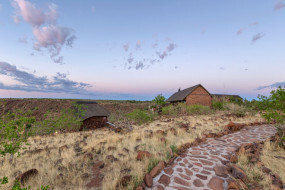 The rock and thatch chalets, each with a small, private deck, blend into the surroundings and is comfortably appointed with a private shower, toilet and washbasin, a desk and small coffee and tea station. 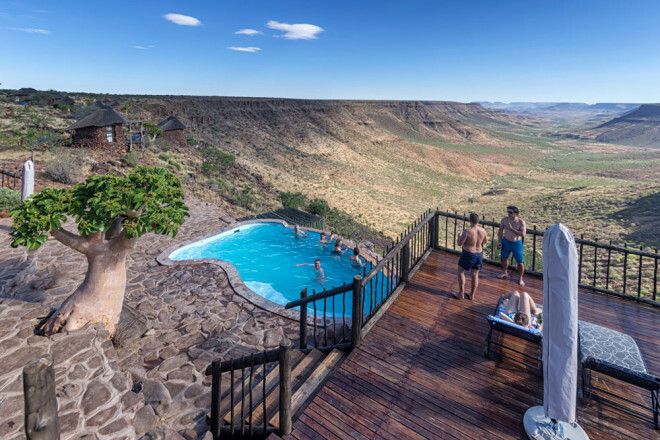 Enjoy a sundowner on the expansive deck or a swim in the refreshing infinity pool overlooking the valley below. 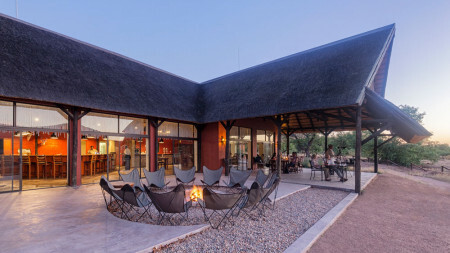 Delicious meals are served in the main reception area and a crackling fire wards off cold winter nights. 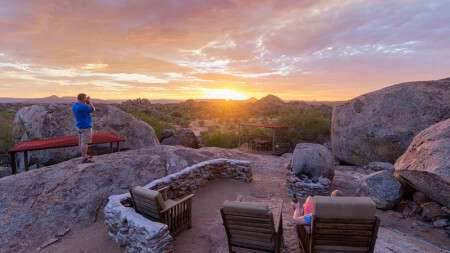 Namibians are well-known for their hospitality - a characteristic that becomes the most apparent when staying at Grootberg Lodge. 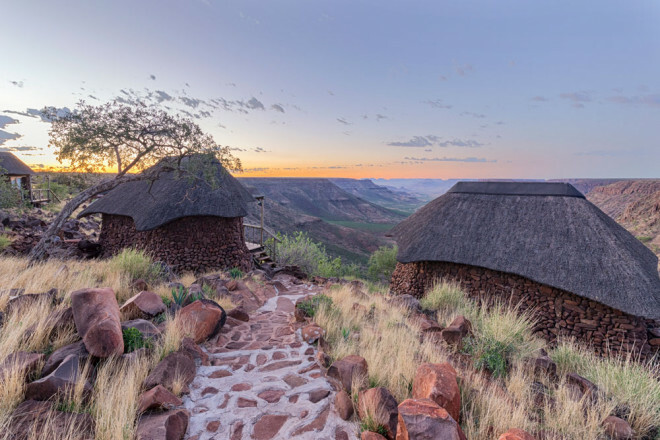 Eco-tourism is the main focus at Grootberg Lodge with members of the local community ensuring your stay is filled with golden memories. 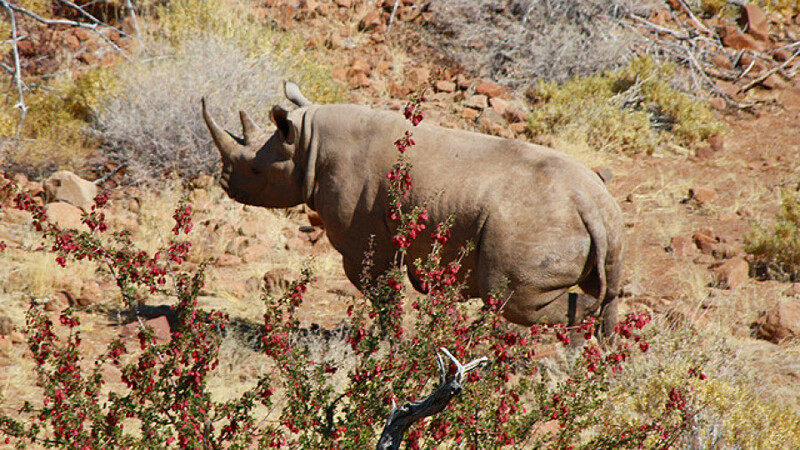 Become immersed in nature as you encounter some of the larger inhabitants of this unique biosphere. 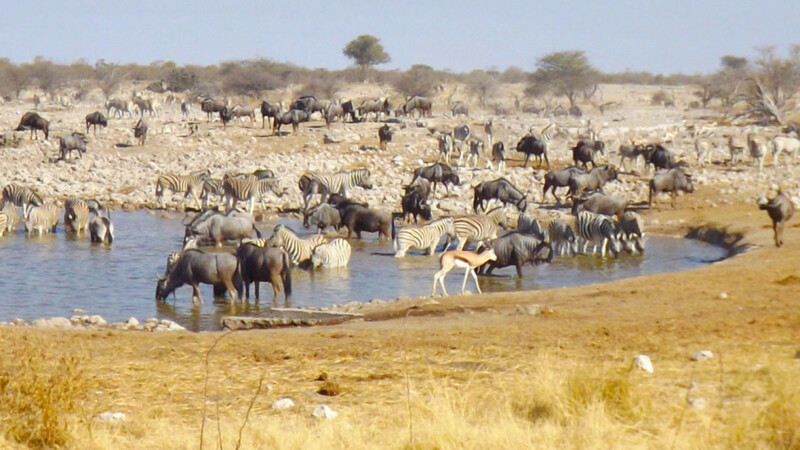 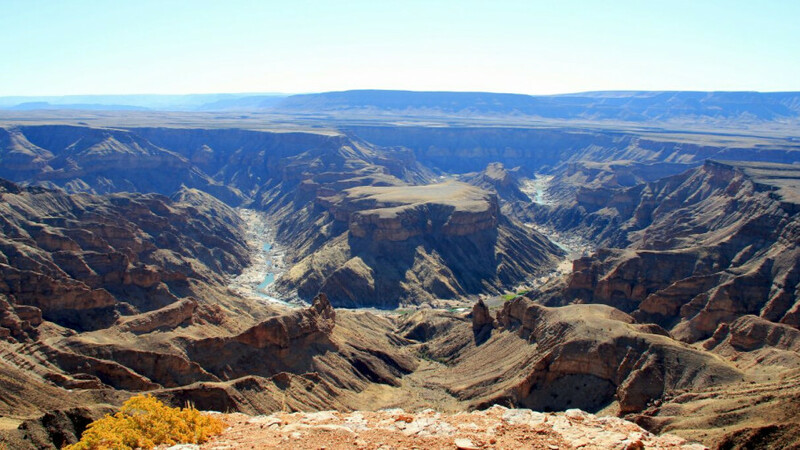 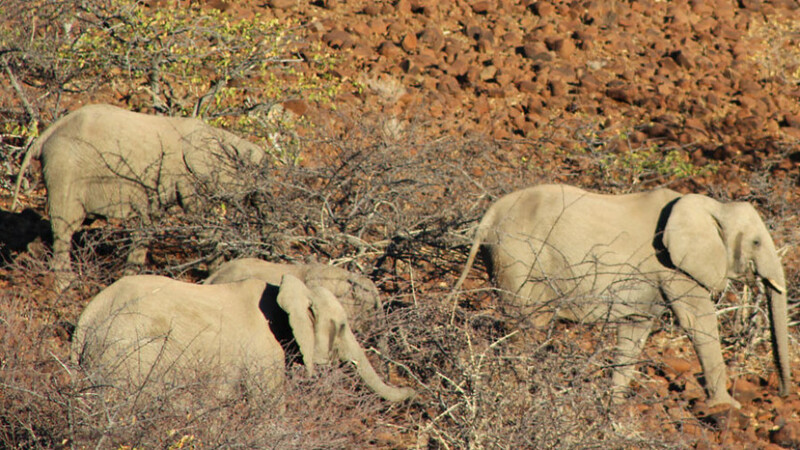 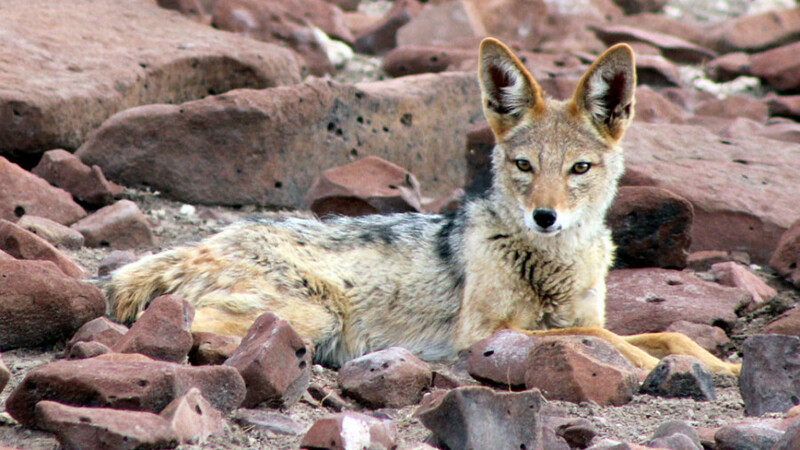 Through active conservation, desert elephant, rhino and even lion still roam freely in this beautiful landscape. 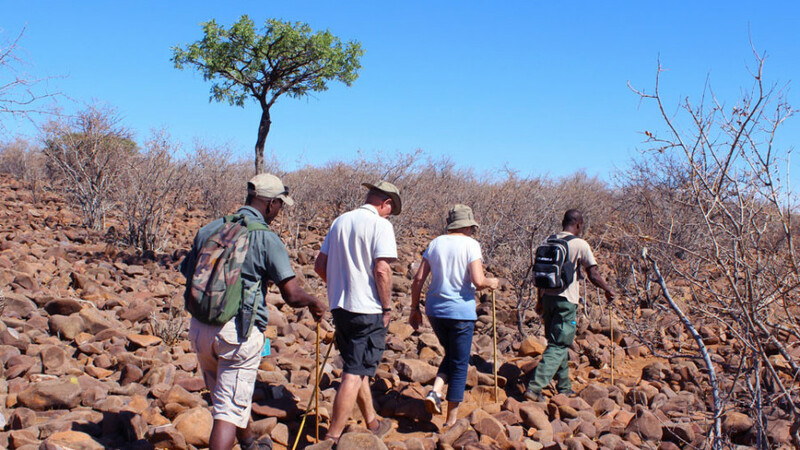 Hikes led by experienced guides and trackers take you on a search for black rhino, one of the planet’s most endangered species. 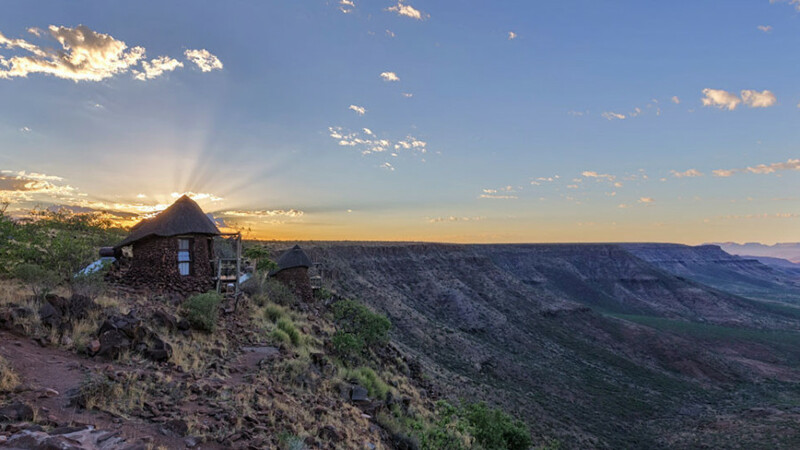 Morning and evening scenic drives across the plateau allow for fantastic photographic opportunities and will allow you to discover the rich plant and animal life that thrive here. 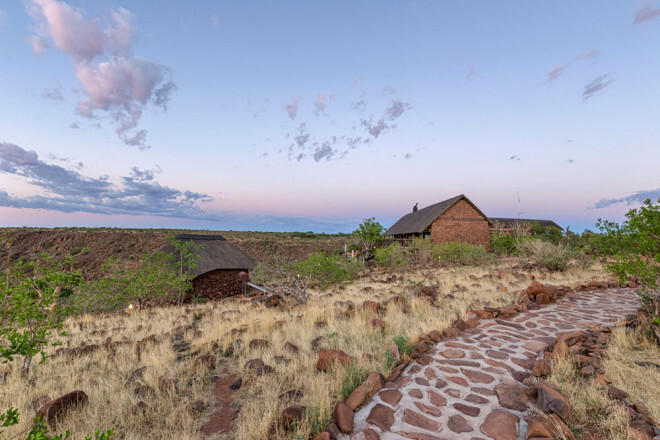 While traversing the plateau, you will encounter a wide variety of the inhabitants of this area, including springbok, zebra, kudu and gemsbok. Klipspringer, although rather skittish, are often seen gracefully leaping from ledge to ledge along the steep cliffs. 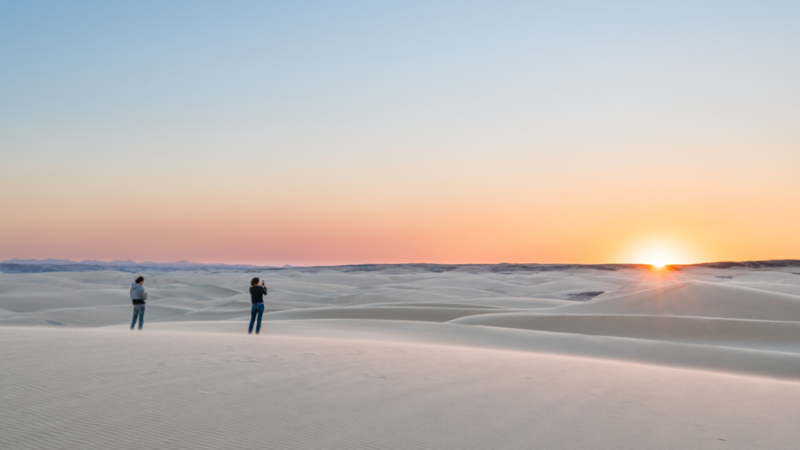 A visit to the #Khoadi//Hoas community is a favourite activity among most guests. 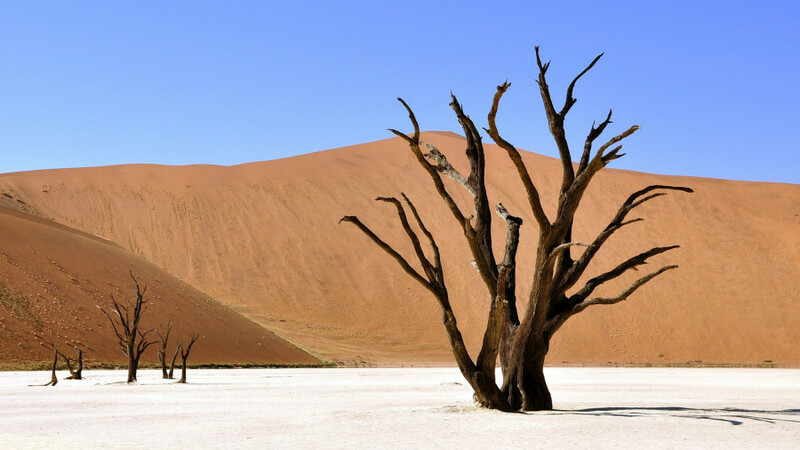 Their warm cordiality touches every heart. 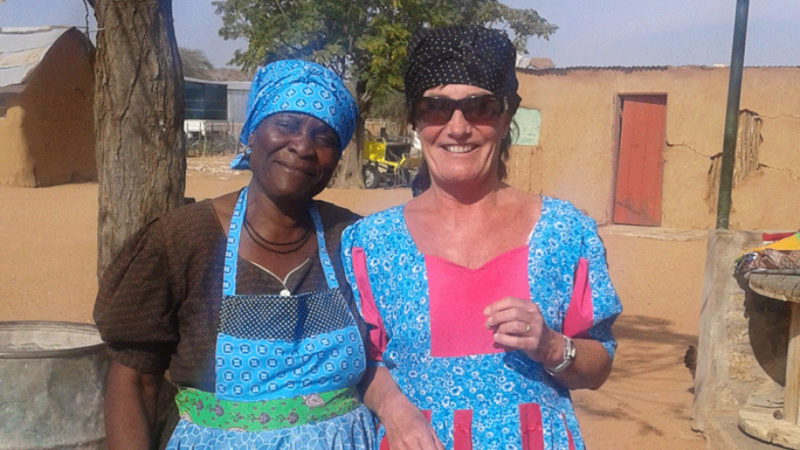 Learn more about their culture and customs as they invite you into their midst. Grootberg is a paradise for nature lovers, and with so much to do, you might consider extending your stay.